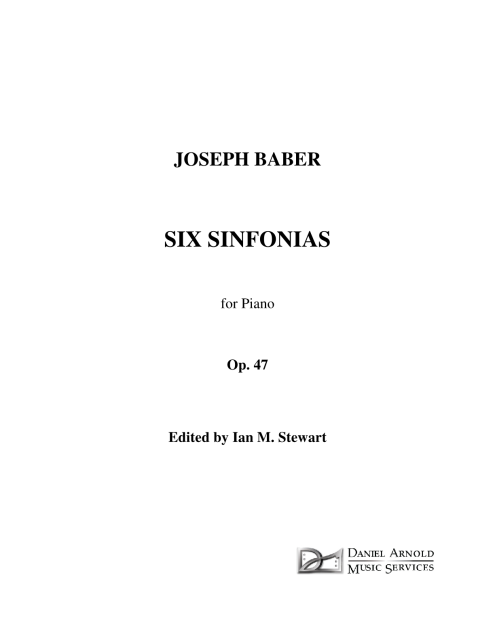 The Six Sinfonias for Piano, Op. 47 were written in 1980 as a wedding gift for Catherine McGlasson, a close friend, keyboard accompanist, and string-playing colleague of mine. The character of these works very much reflects the personal introspection of the dedicatee, thoughtful and private in nature. Only now have they been edited and recorded for public performance with the knowledge and good wishes of Ms. McGlasson herself.